[Cookie Elf File] For Cinco de Mayo - Easy Mexican Shortbread Cookies, Just 6 Ingredients! They’re adorable! Browse all kinds of cookie cutters and pick your favorites. Take a look. Feature: Easy Mexican Shortbread Cookies: Just 6 Ingredients! Just in time for Cinco de Mayo! Easy Mexican Shortbread Cookies, also called polvorones. It’s prounounced pohll-vuh- rohn-ays and they come in all shapes and sizes: pink, chocolate, vanilla, tricolor, topped with chocolate chips, chopped pecans, powdered sugar. Pink and yellow polvorones are traditionally offered at Mexican bakeries. This recipe is a simple version that’s fun to make with your kids or just easy to make for you. These polvorones stick pretty closely to the classic shortbread ingredient ratio of 1 part sugar, 2 parts butter, and 3 parts flour. 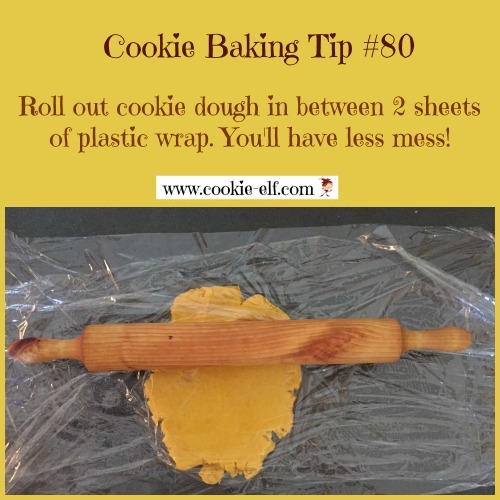 Here, you add food coloring, roll out the cookie dough, cut out the cookies with cookie cutters, decorate them, and bake them like cut outs. 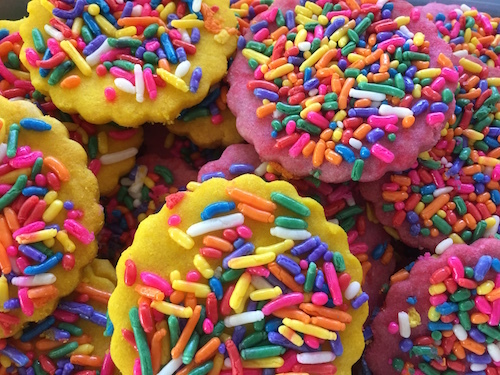 With food coloring and sprinkles, they are as colorful as the polvorones from a Mexican bakery. Get the full recipe for Easy Mexican Shortbread Cookies: … and be sure to check out ideas for Mexican Cookies on our Pinterest board. Mexican Wedding Cakes: Not Just for Weddings!